The uncorroborated sexual assault allegation against Virginia Lt. Gov. Justin Fairfax, a Democrat, has drawn comparisons to the uncorroborated allegations against Supreme Court Justice Brett Kavanaugh. 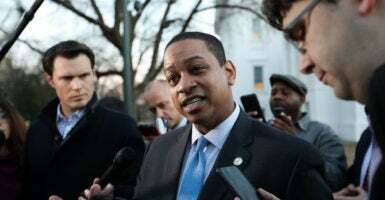 Fairfax issued a statement early Monday morning disputing a report by the right-wing blog Big League Politics, which linked Fairfax to an accusation of sexual assault at the 2004 Democratic National Convention. Fairfax said at a press conference Monday that he had a consensual encounter with the woman, but denied that he sexually assaulted her. Fairfax is poised to succeed embattled Gov. Ralph Northam if the Virginia Democrat resigns over a racist photo on his yearbook page that showed a man wearing blackface and another wearing a Klu Klux Klan robe. Northam first admitted to being one of the people in the photo, before backtracking and saying he wore blackface on a different occasion, but not in the photo. The Washington Post reported on Monday that it had been aware of the allegation against Fairfax for over a year, but was unable to corroborate it. Fairfax “incorrectly” claimed the Post declined to publish the claim because it found “red flags” regarding the woman’s story, according to the paper. “Fairfax and the woman told different versions of what happened in the hotel room with no one else present. The Washington Post could not find anyone who could corroborate either version,” the Post reported. The Post’s original decision not to publish the Fairfax accusation drew comparisons to the Post’s coverageof the Kavanaugh accusations, which also lacked corroborating evidence. The paper did not return The Daily Caller News Foundation’s request for comment. “It’s good to see that the newspaper has found a renewed interest in the standard of proof it abandoned entirely when it broke the story of similar allegations of sexual misconduct leveled last year against Supreme Court Justice Brett Kavanaugh. Recall that it was the Post that first got Christine Blasey Ford to go on the record with her allegations,” wrote the Washington Examiner’s Becket Adams. One difference between the accusation against Fairfax and Blasey Ford’s claim against Kavanaugh: Both Fairfax and his accuser agree that a sexual encounter occurred, though contradicting each other on whether it was consensual. Unlike Kavanaugh, Fairfax even admits that the counter occurred he just says it was consensual. Given the stances Democrats have taken to this point on believing accusers, hard to see how he survives this. “Based on the obvious problems and inconsistencies with even the first version of Ford’s claims, I expressed skepticism from the outset. But given that there was reportedly an admitted sexual encounter between the accuser and Fairfax, aren’t there at the very least grounds for serious concern?” asked National Review’s David French. “Based on the available evidence (and without seeing any person tested by cross-examination), it’s far too premature to say that it’s more likely than not that Fairfax is guilty or to demand his resignation. 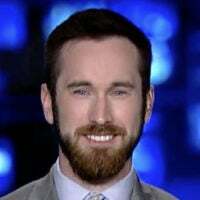 It’s not too premature to wonder, however, whether ‘believe women’ or ‘believe survivors’ will apply with equal ferocity to more credible claims against a promising young Democrat,” he noted.